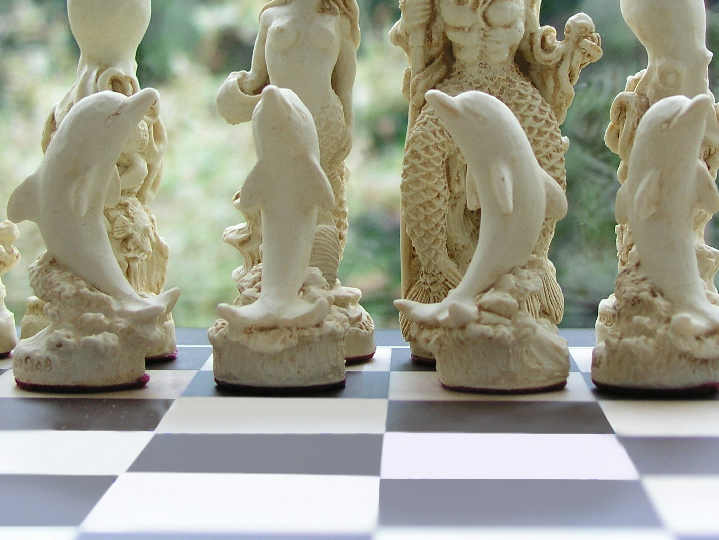 This product from Chess Baron: Made in England. 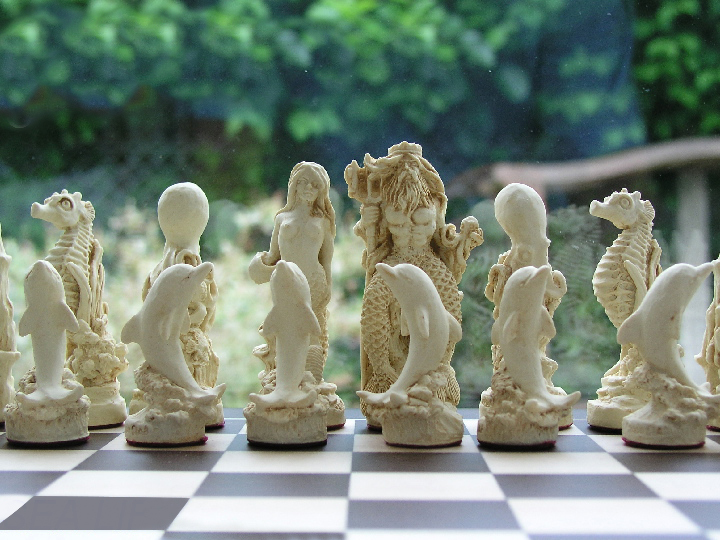 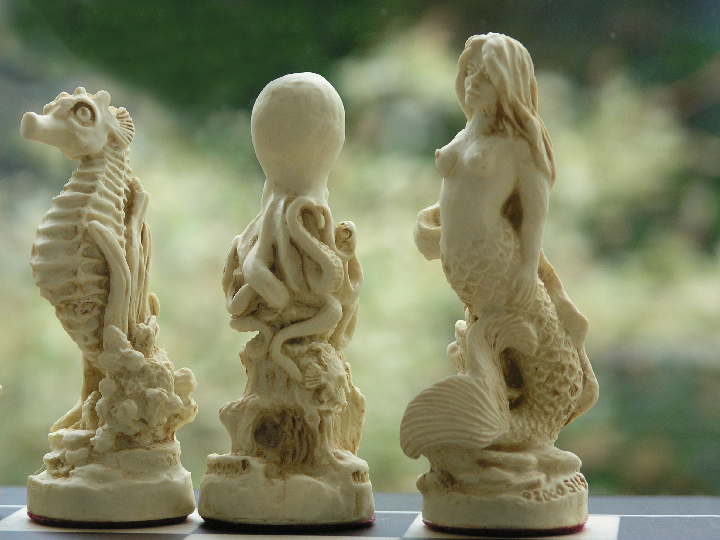 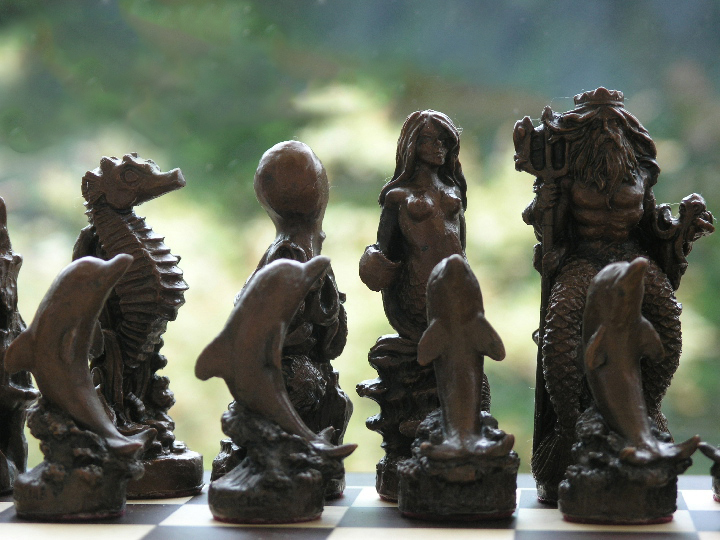 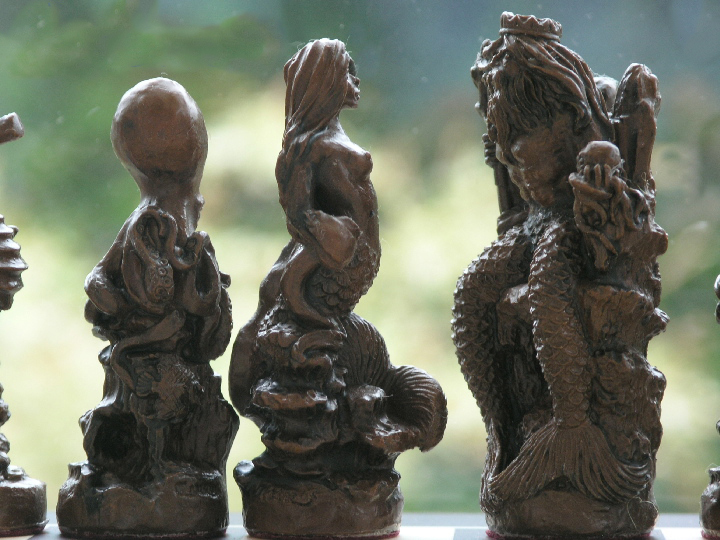 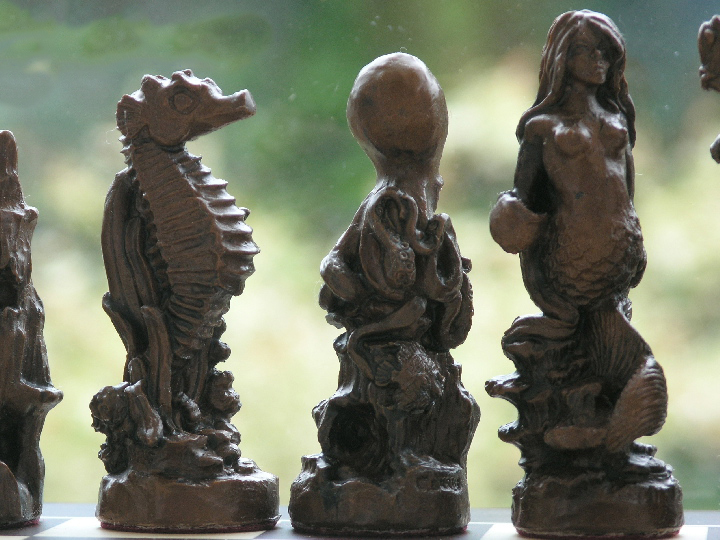 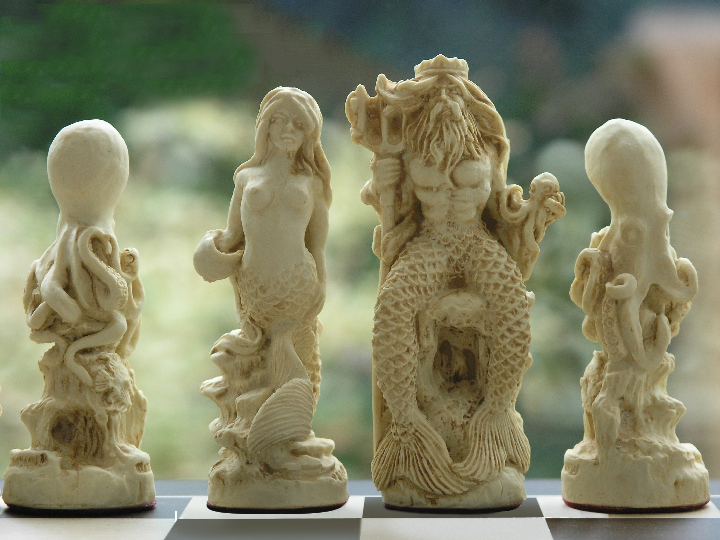 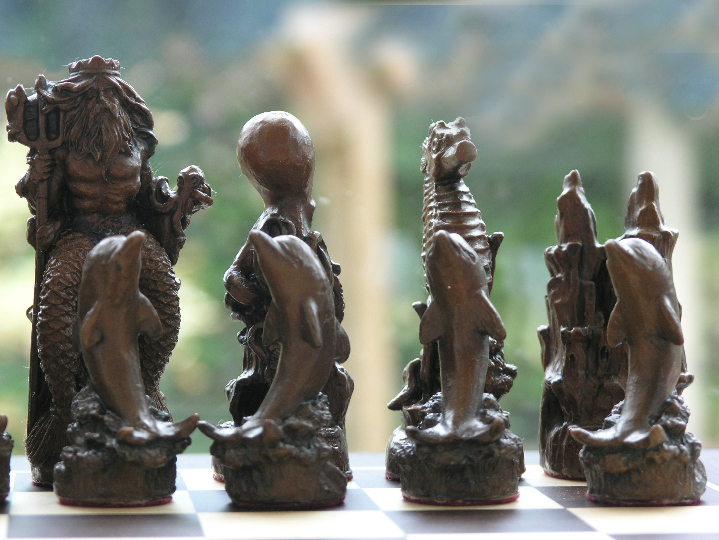 Sculpted by Bob Maurus, this set has the King as Neptune, Mermaid Queens, Octopus Bishops, Sea Horse Knights, the Rooks are under sea caves and the pawns are all magnificent dolphins. 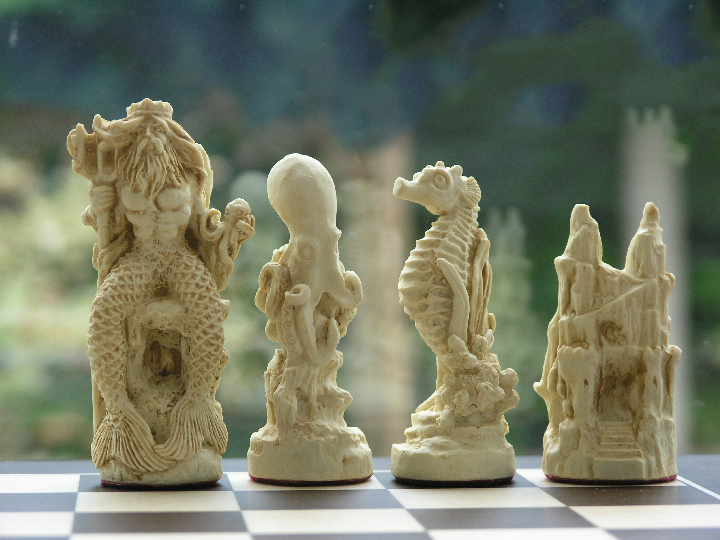 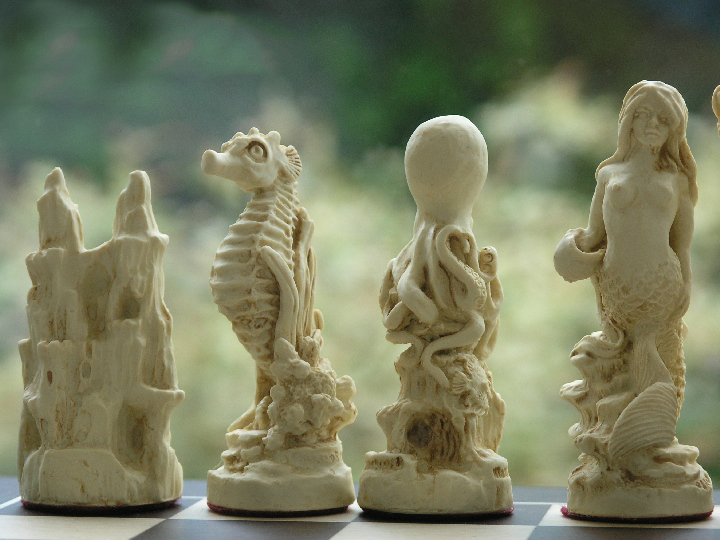 A very detailed and hugely innovative chess set.